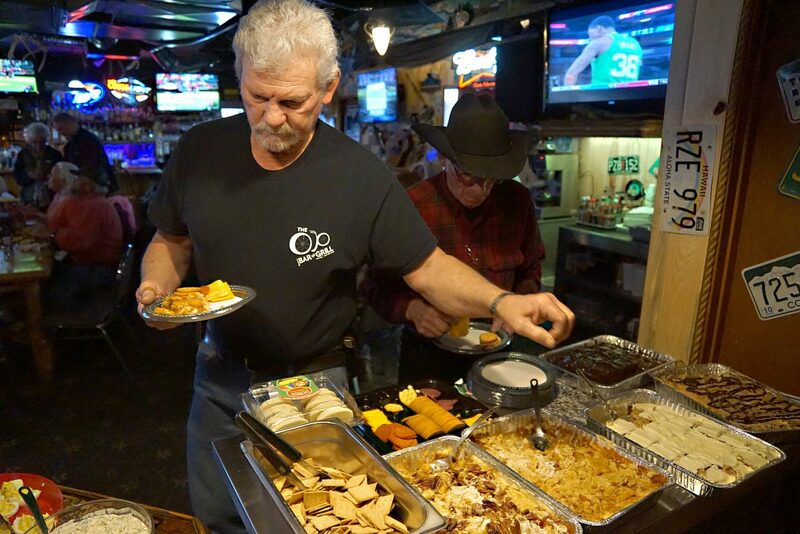 George Vassek fills his plate with some of the plentiful food offered at the OP Bar & Grill in Craig for those who came out to wish the Ann and George Kidder well as they prepare to leave Moffat County. 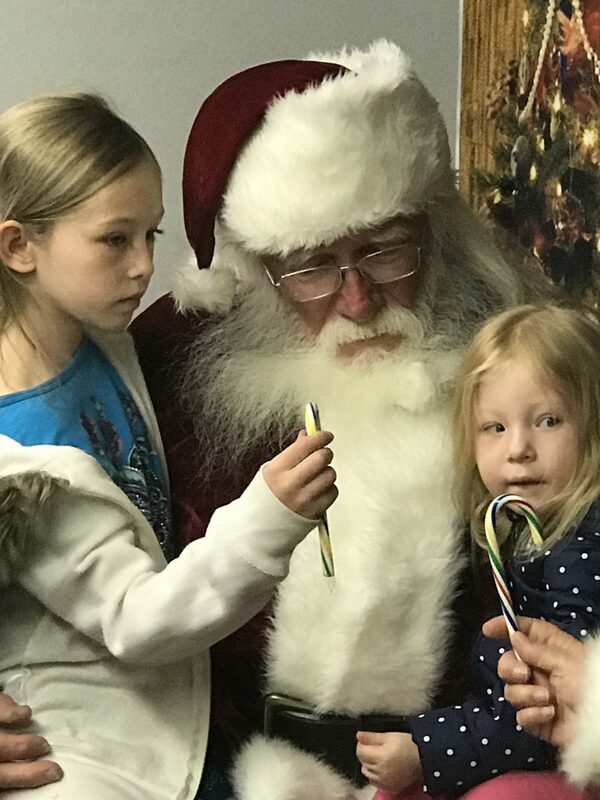 Two young girls receive candy canes from Mrs. Claus as they share with Santa their last-minute Christmas wishes during the 2017 Letters from Santa event at the Craig Press. 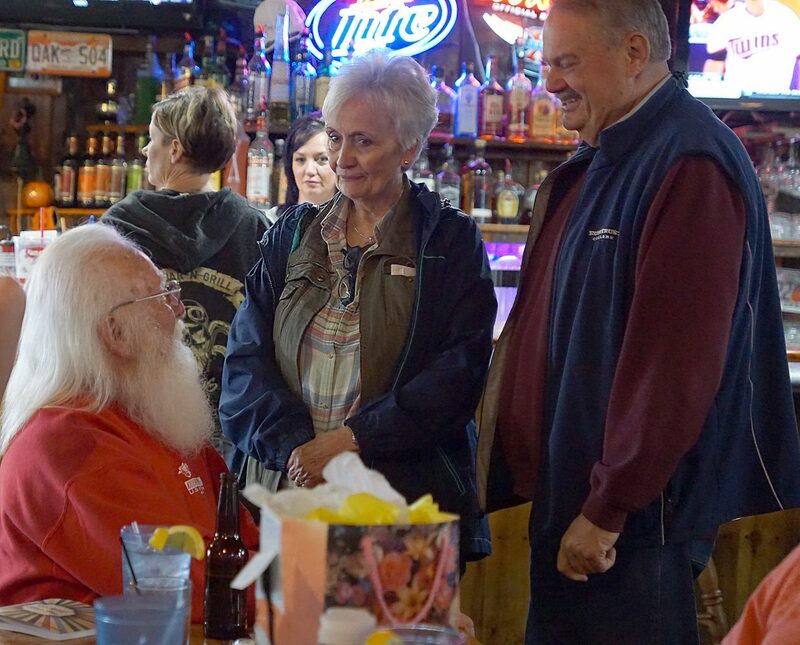 George Kidder, better known to many as Craig's Santa Claus, talks with family and friends during a send off party at OP Bar and Grill. Ann Kidder, better known as Mrs. Claus to many, prepares herself a plate during a going away party held to honor her and her husband. 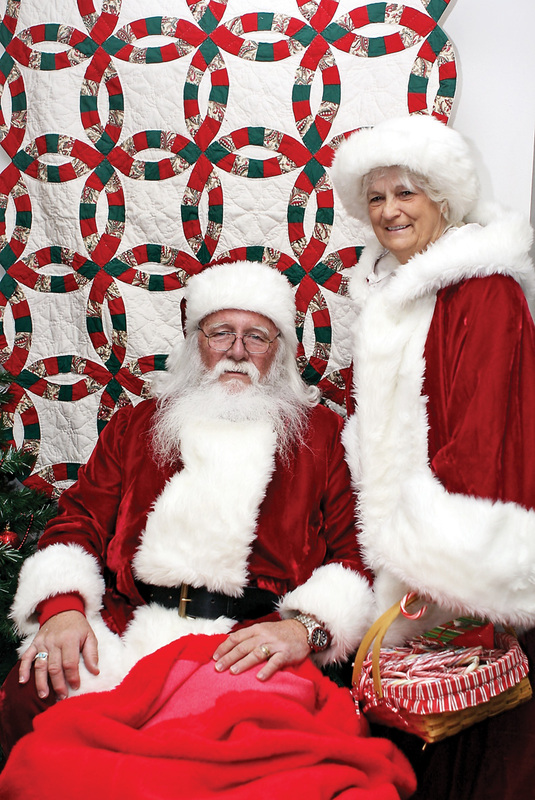 George and Ann Kidder spent nearly two decades standing in as Santa and Mrs. Claus. 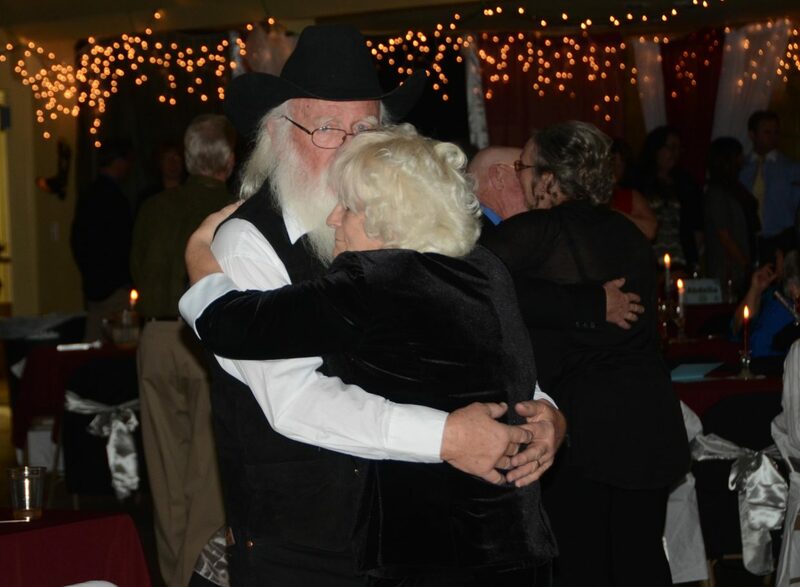 George and Ann Kidder dance together at the annual Craig Rotary Club’s Diamonds & Spurs. 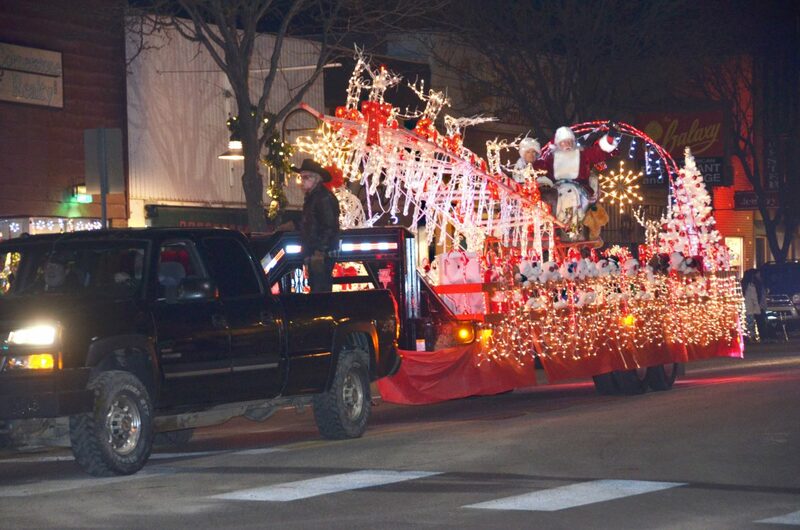 George and Ann Kidder standing in for Santa and Mrs. Claus, ride in a sleigh pulled by eight reindeer and a truck during the annual Parade of Lights in Craig. 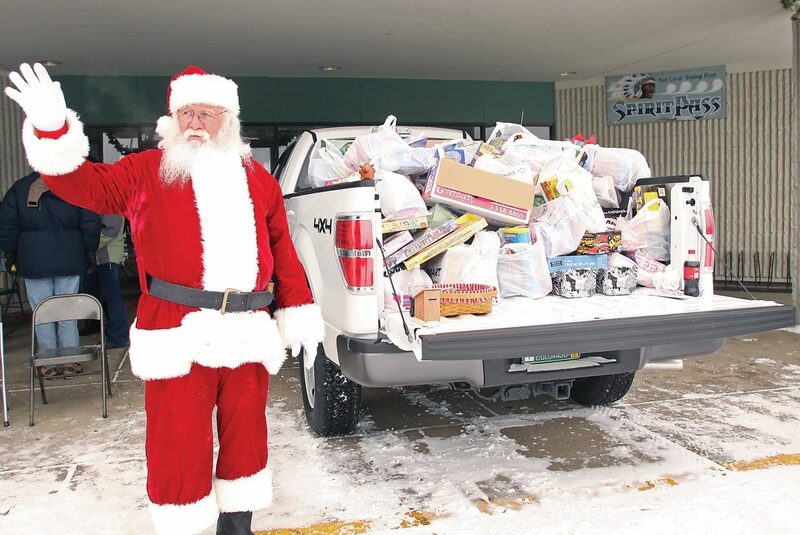 George Kidder was encouraged to become a local stand-in for Santa after he was proclaimed "the real Santa" while donating food to the first 93.7 102.3 KRAI and 55 Country Holiday Drive. 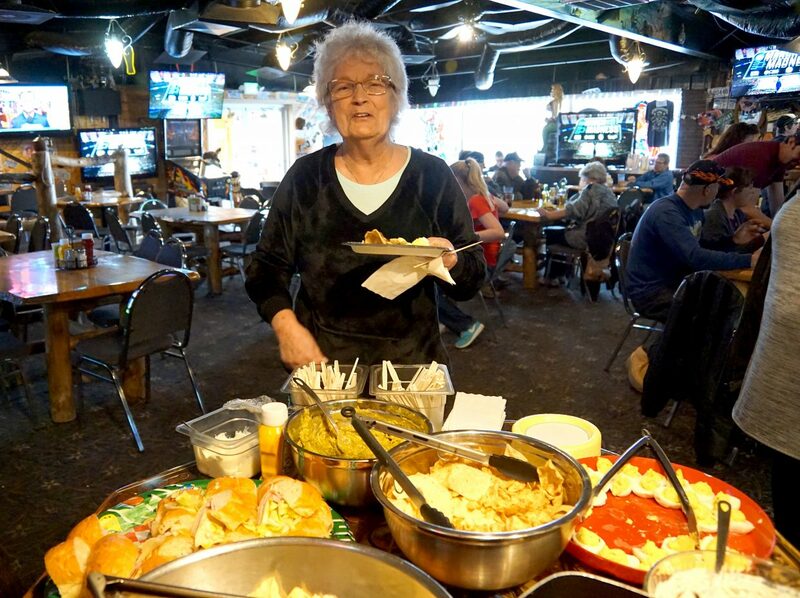 CRAIG — The flurries of snow that swirled around town Sunday seemed a fitting send-off as the community came together to say thank you and bon voyage to Moffat County’s own Mr. and Mrs. Santa Claus — George and Ann Kidder. The jolly elf and his wife are retiring to Disney World, or at least that was the story told by family friends who gathered for a farewell feast at the OP Bar & Grill. 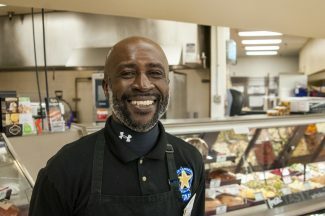 The news was greeted with a mix of emotions, including sadness, expressed by many people in Northwest Colorado who have come to know and love the Kidders. “We’d do anything to keep them here, if we could,” said family friends Maureen and Wade Gagnon. But their family in Florida and the Eastern United States, where the Kidders are originally from, are eager to have Ann and George back. 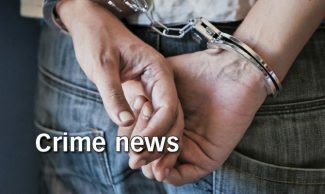 “I’m glad to be bringing him home,” said Florida resident and George’s younger sister, Kathie Wygant. It was while living in Florida and working as contract mail carriers that the Kidders began their gig as stand-ins for the Clauses. “George was given a pair of antlers and put them on the U.S. Mail truck. Then, he stuck a bright red ball on the front of the truck,” Ann recalled. Mr. and Mrs. Claus are not the only characters to call Craig home. Another guest at the going away party was the Tooth Fairy, undercover in Craig using the name Nicole Borroel. “I’m the tooth fairy who is often in cahoots with Santa, but now, he might be on the naughty list for leaving,” she said with a chuckle. Not everyone from Craig is sad to see the Clauses go. “Good riddance. I’m sick of getting a lump of coal every year, and the longer you know him, the more coal you get,” quipped Sean Stacy. While Stacy and others on the naughty list might disagree, it was not the abundance of coal that drew the Kidders to Craig about 20 years ago. “We both had children when we married, and we decided to come here to start something of our own,” Ann said. They headed west to become independent contractors for the U.S. Postal Service, and, since 1997, they have run the mail from Glenwood Springs to Craig and back. “Whatever it takes to get the mail through, we try and do,” George said in an interview with the newspaper in 1999. 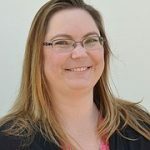 That year their customer service excellence would earn the Kidders the Eagle Spirit award — one of only two awards given out each year in the western half of the United States to recognize outstanding contributions of people who deliver mail under contract. Through their nearly 20 years in Craig, the couple has not only ensured safe delivery of items for Santa and U.S. Post Office, but have also supported the community in many other ways. It was after being called “the real Santa,” during their first visit to the 93.7 102.3 KRAI and 55 Country Holiday Drive that George and Ann were inspired to start helping at that annual event gathering gifts, food, and funds to the less fortunate in the community. “They really are unsung heroes. He worked his beard off, just about, and never took a dime for the many Santa visits,” Hanel said. 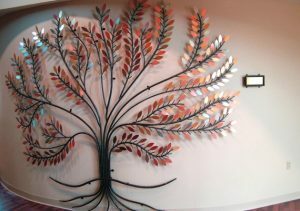 Instead, the Kidders asked people to donate to one of the many charities in town. Each year, they reserved a few Santa visits for charity. 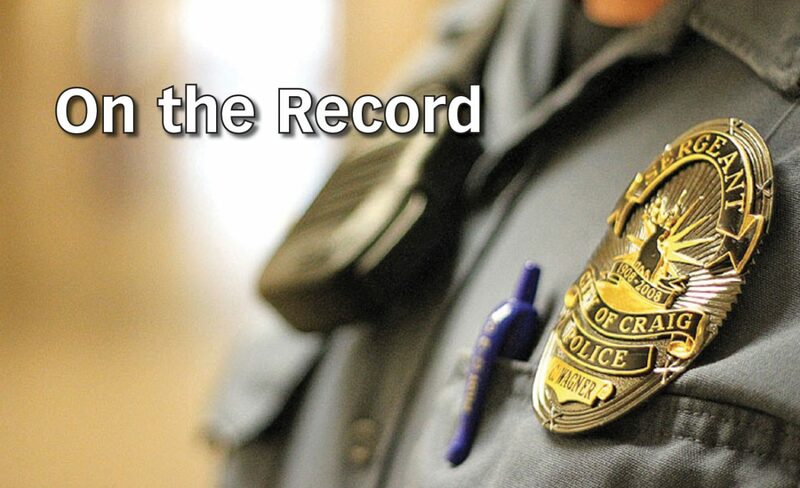 “The first year, people paid over $1,000 for Santa visits offered at the Boys & Girls Club. 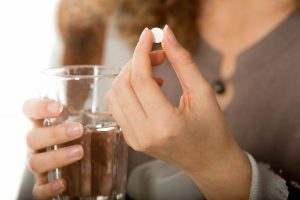 We just couldn’t believe people would pay that much,” Ann said. When not working alongside her jolly elf, Ann scheduled events, made, repaired and cleaned the Santa suits. “George always plays the role,” said George Vassek. As they change zip codes, the Kidders will retain their contract with Santa to bring Christmas cheer to children in Florida. “He’s already got some visits scheduled. We’re taking three suits, but that’s it. I’m not making any more,” Ann said with a laugh. After all, it is their retirement.